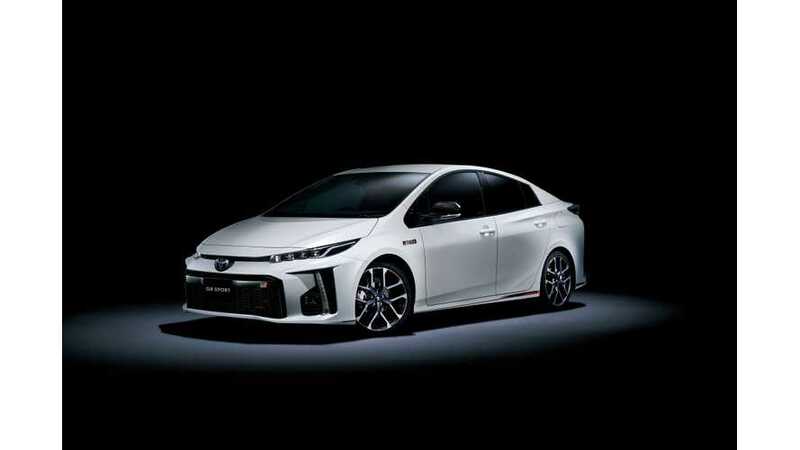 Toyota has launched the GR performance edition of its cars in Japan; which normally would be of little interest to us other than...the Prius Prime/PHV is included. The GR series is designed for those who would like the most sporty driving of each model, which is a bit of an oxymoron right there when you include the Prius moniker. "Toyota Motor Corporation (TMC) announces the launch of the new "GR" sports car series. The "G Sports (G's)" sports conversion car series has until now served as a key component in initiatives to fuel excitement around sports car culture in Japan. Now, TMC has revolutionized the G's series by transforming it into the GR series. TMC's aim is to bolster initiatives to foster a culture of enjoying cars through the driving experience. 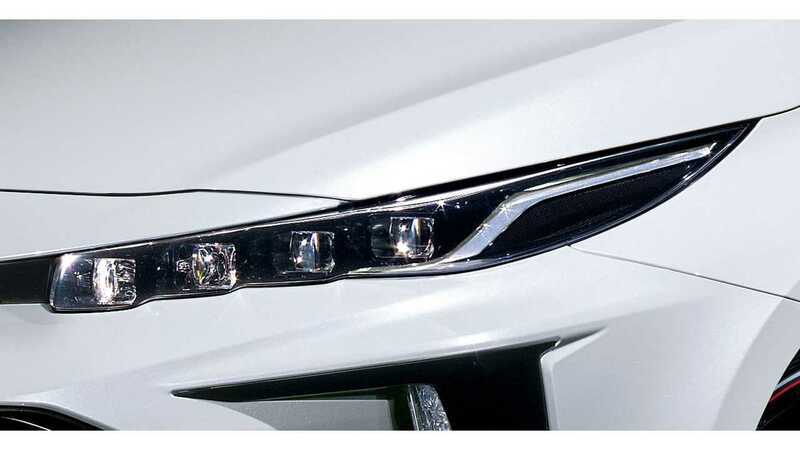 Plans call for TMC to further enhance the vehicle lineup in the future and have on offer a variety of parts." Initially the offer is available only in Japan, but Toyota plans to deploy the GR series outside of Japan as well gradually. 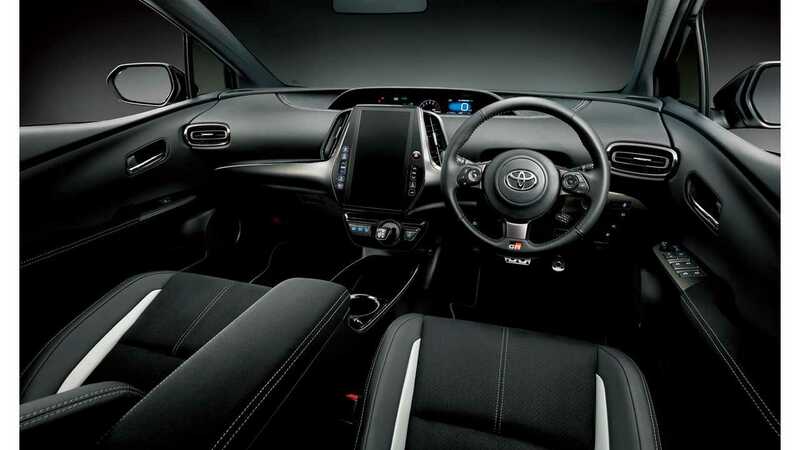 The Toyota Prius PHV GR SPORT falls specifically into the entry-level "GR SPORT" category with limited modifications like special tuning suspension, brace addition, special tachometer (with GR logo), shift knob (Smoke black trim), aluminum pedals, small diameter steering wheel. Basically, its a skirt kit with some bonus interior trim items. In Japan price of the base Prius PHV GR SPORT starts at 3,711,960 JPY (including consumption tax), which is around $33,000. See details (in Japanese) here. "Toward making "ever-better cars," GAZOO Racing, established as a company within TMC, refines its cars and trains its personnel through motor sports activities such as the 24 Hours of Nürburgring endurance race in Germany and the All-Japan Rally Championship. 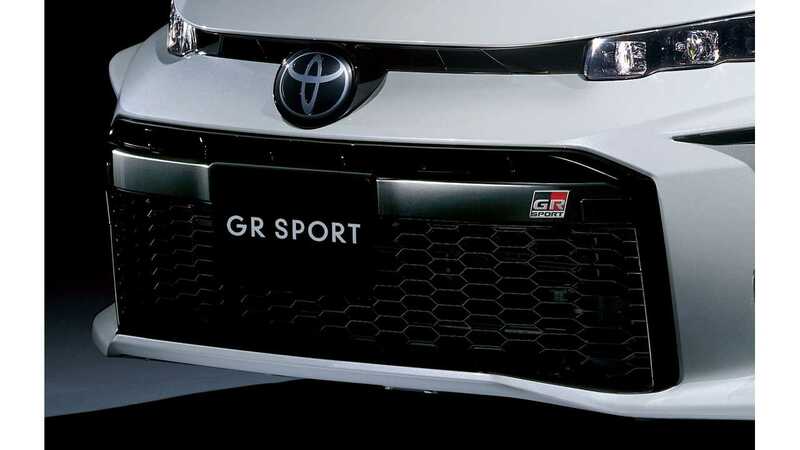 The new GR series was developed using the knowledge and know-how acquired by motor sports activites, and representing the lineup in Japan are the top-level "GRMN", the mid-range "GR", and the entry-level "GR SPORT". As a limited release, the GRMN features a tuned engine, while the mass produced GR possesses the essence of GRMN. The GR SPORT is also available in minivans and offers drivers the chance to enjoy a casual sports car driving experience. 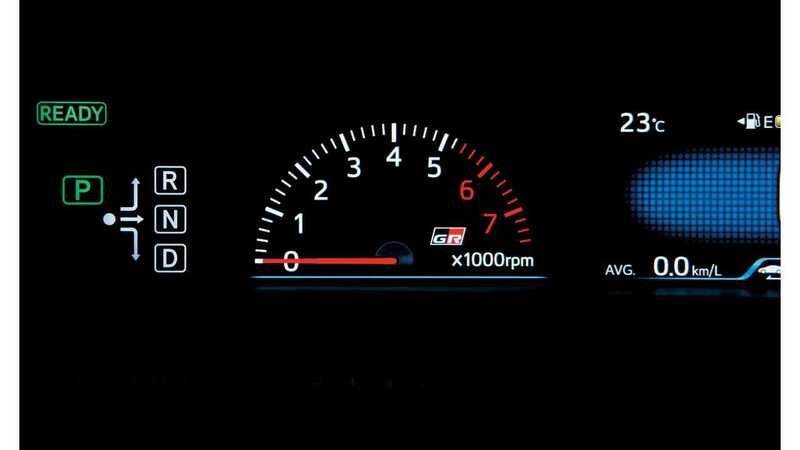 In addition, aftermarket "GR PARTS" are provided so ordinary drivers can take pleasure in customizing their own cars. 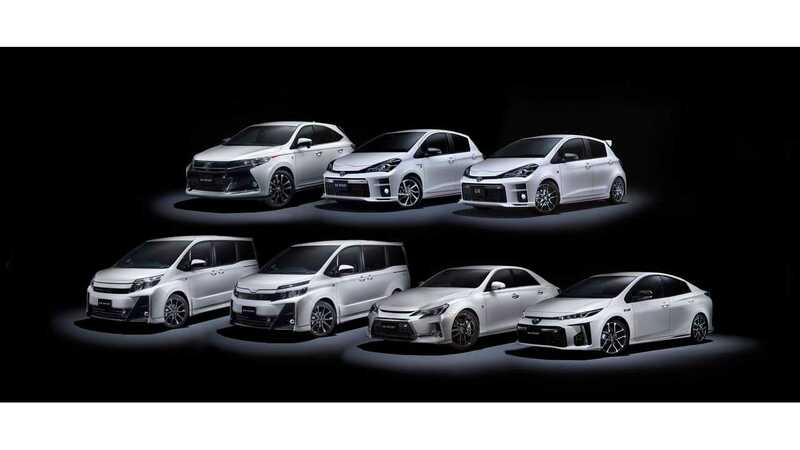 As the initial GR series rolls out, the GR and GR SPORT will be available for the Vitz and the GR SPORT will be offered for the Prius PHV, Harrier, Mark X, Voxy, and Noah on September 19 at Toyota dealerships*1 nationwide in Japan. 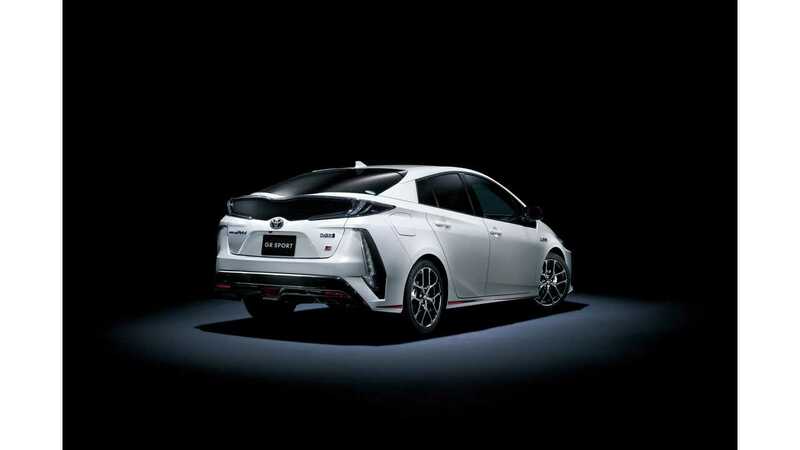 Moreover, the Vitz GRMN, 86 GR, Aqua GR Sport, and Prius α GR SPORT models will be added to the lineup at a later time. The Vitz GRMN is scheduled for release in the spring of 2018 while the 86 GR, Aqua GR Sport, and Prius α GR SPORT models are slated to go to market this winter. Additionally, in concert with the GR series launch, TMC will open a series of "GR Garage" shops as regional bases for TOYOTA GAZOO Racing with the aim of bringing the joy of automobiles to a wider range of customers focusing on sports cars and motor sports. Current "AREA 86" shops deployed nationwide across Japan will be rebranded as GR Garage shops with dedicated staff (GR Consultants) once certain criteria have been met at designated locations. All AREA 86 shops will be closed by March 2018, and 39 GR Garage shops are scheduled to open within fiscal year 2017. Guided by the concept of "the most exciting car shop in town," the GR Garage will help cultivate an enthusiastic car culture through its commitment to achieving three primary objectives: the creation of a shop that car fans want to visit again and again, the development of staff (human resources) loved by car fans, and providing access to driving experiences that leave car fans wanting more. *1Vitz: Netz stores; Harrier Toyopet stores; Mark X: Toyopet stores and Tokyo Toyota stores; Voxy: Netz stores; Noah: Toyota Corolla stores; Prius PHV, Prius α, 86, and Aqua: Toyota stores, Toyopet stores, Toyota Corolla stores, Netz stores"
*Prices do not include recycling fees. Hat tip to Brian R!